I think heavy rain inspires me to mess with the settings on my camera. 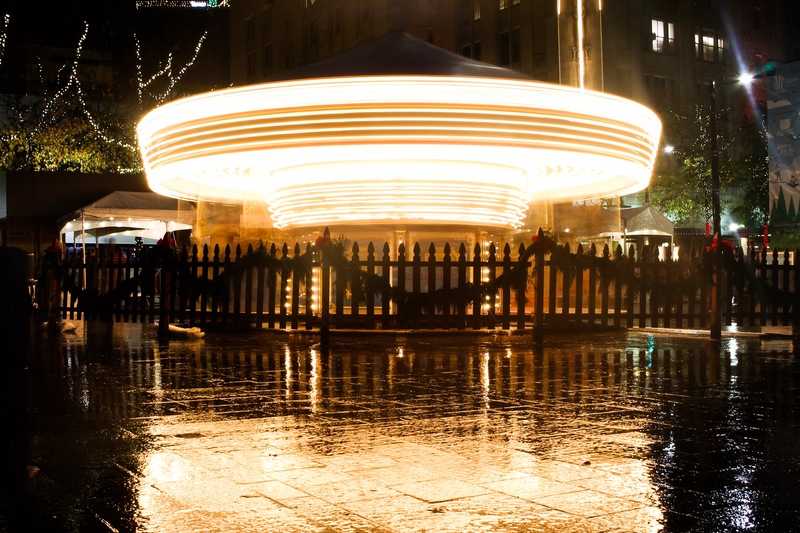 Here at Westlake Park in Downtown Seattle, I went for a new long exposure in the night. It was another wheel (see previous posting for the other wheel), but this time a little smaller with horses on it. Are there other big wheels for me to gaze upon in this Emerald City? And for a bonus picture, here is the full stop. The rain kept going. 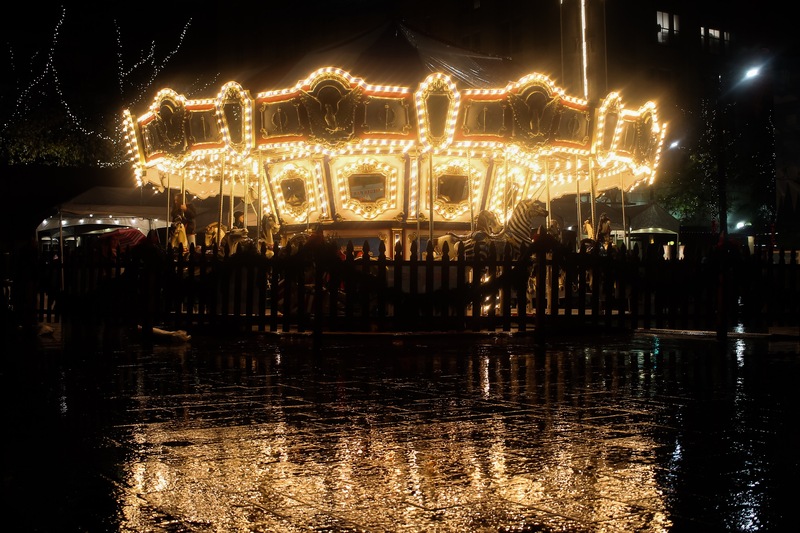 Posted on December 8, 2015 by Orion T.	This entry was posted in Photography and tagged carousels, Christmas, downtown, exposures, lights, nightlife, Photography, Seattle. Bookmark the permalink. Psychedelic, man! I suppose you could also stand and watch the stoplights change, would those be wheelie enough? Well, when you consider the worker routines of people who constantly rely on a same path every morning and evening between home and work..the stoplights on their paths help propel these grand cycles. It’s a more metaphorical wheelie in action I think. Wow, philosophical. I am more all about the sparklies. Maybe if there is some custom crazy light rims going on. It’s been a while since I been to a good auto show.